The latest CTX series in the 5th generation provides additional performance in power, torque and precision as well as larger working area for more flexibility and ergonomics. The universal turning machines of the CTX series by GILDEMEISTER in the new design offer high tech components like integrated spindle motors for fast acceleration and deceleration. Driven tools and tailstock are already in standard. Y-axis for more flexibility and counter spindle are available as options. 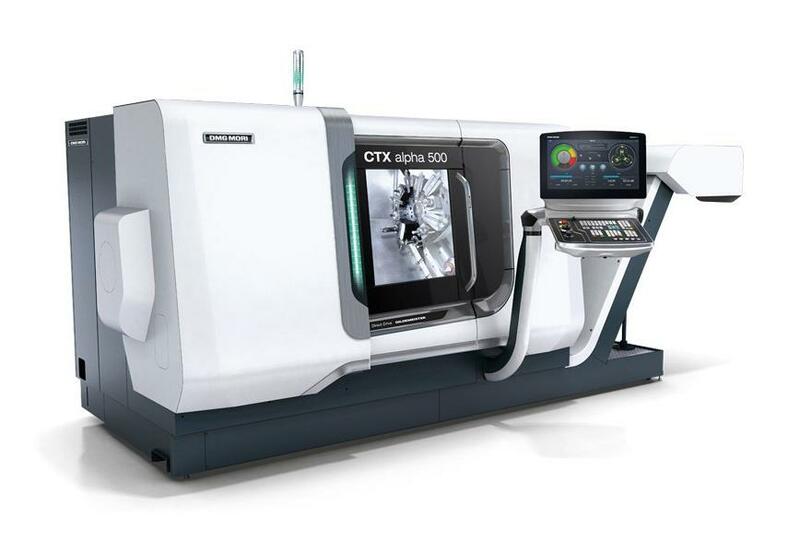 The CTX alpha 500 comes with CELOS with 21,5“ ERGOline® and SIEMENS as standard. The machine is also available with Operate 4.5 on SIEMENS 840D solutionline, equipped with the 19“ ERGOline® control panel.